Thank you York Regional’s Detective Don Hopple for 32 years of service! 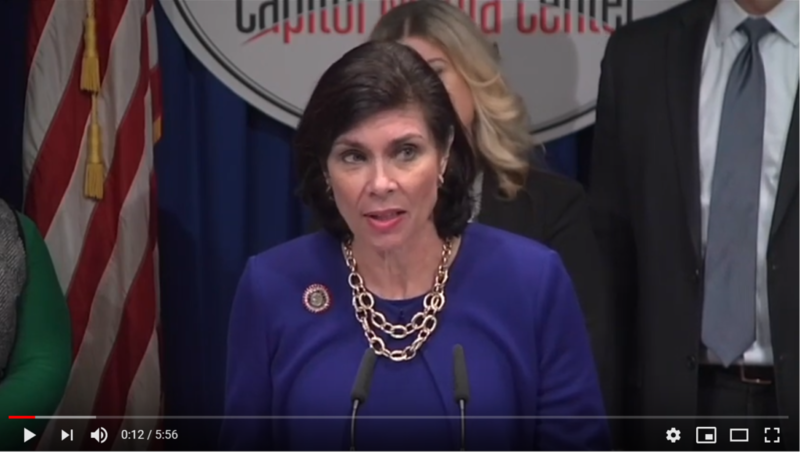 The legislature has made strides to combat human trafficking in Pennsylvania over the last few years. Representative Seth Grove (R-York) and I are working to close a loophole that exists in the current law. 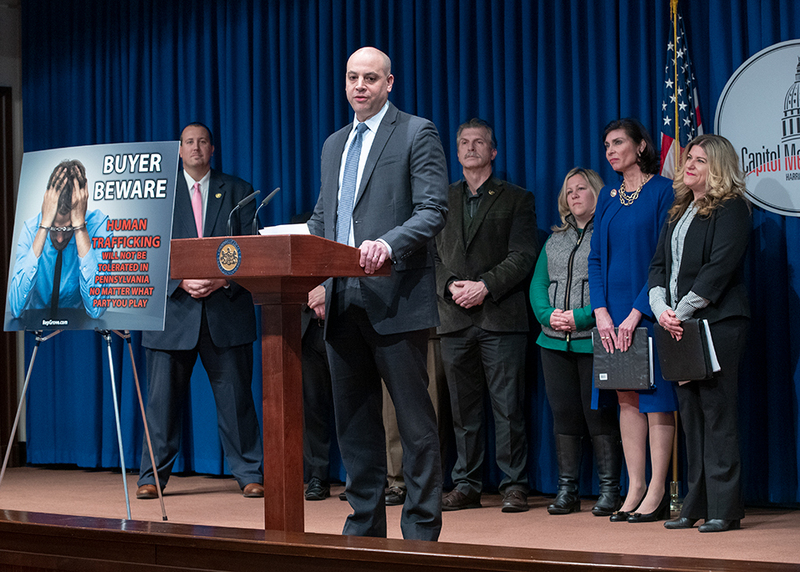 On Wednesday, we introduced the “Buyer Beware Act,” which would double the maximum jail sentence for an individual convicted of trafficking or patronizing a victim of trafficking. Currently, these crimes carry a maximum penalty of up to 10 years in prison. The bill would upgrade these to first-degree felonies, which carry a maximum sentence of up to 20 years in prison. In addition, those convicted of patronizing a victim of sexual trafficking would receive an increased fine of between $1,000 and $30,000, up from $500, at the discretion of the court. If the victim is a minor at the time of the offense, the fine would be increased to a minimum of $5,000 and a maximum of $100,000. 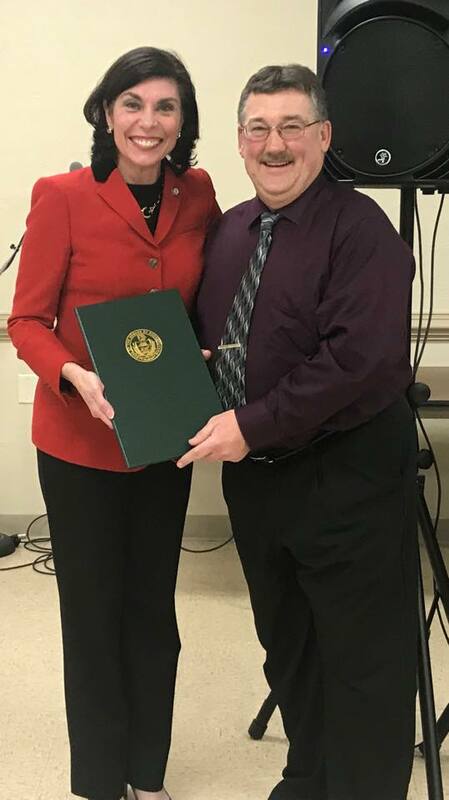 In addition to Representative Grove, I was joined by York County District Attorney Dave Sunday, Pennsylvania Victim Rights Advocate Jennifer Storm, Representatives Kate Klunk (R-York), Keith Gillespie (R-York) and Dave Maloney (R-Berks), along with several other groups dedicated to combatting human trafficking. I encourage you to take a few minutes to watch the entire news conference, which can be found here. The practice of human trafficking amounts to modern-day slavery. Although it is not a new crime, the number of reported cases is growing at an alarming rate. Senate Bill 60 and House Bill 12 represents another major step in stopping his horrific practice in Pennsylvania. Read more about our efforts here. 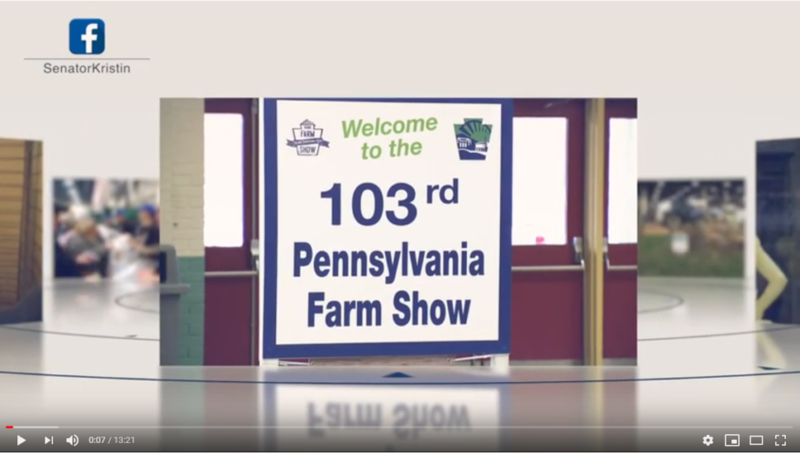 This past week (and ongoing through Saturday, January 12), the Pennsylvania Farm Show showcased the very best York County has to offer. 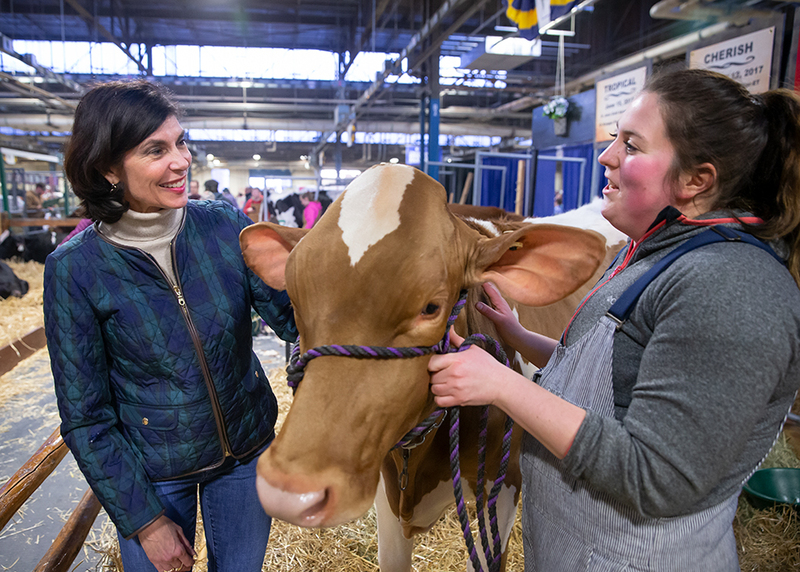 I spent several days at the Farm Show meeting with many residents from our region. York County had two students awarded with scholarships from the Pennsylvania Farm Show Scholarship Foundation. Erin Lang of Glen Rock and Lindsey Burgard of York received scholarships at the 20th Annual Farm Show Scholarship Foundation Breakfast held on Wednesday. Erin attends Penn State and Lindsey attends Central Penn College. On Tuesday, I had the opportunity to meet with Pennsylvania Department of Agriculture Secretary Russell Redding to review several key issues important to York County farmers. You can watch our meeting here. I also had a great conversation with Kelly Johnson, who is with Rutter’s Dairy Farm. She introduced me to one of her cows, Cherish. We had an excellent discussion on the challenges of the agriculture industry in Pennsylvania as well as opportunities. Kelly is the fourth generation of the Rutter’s family to show dairy cows. 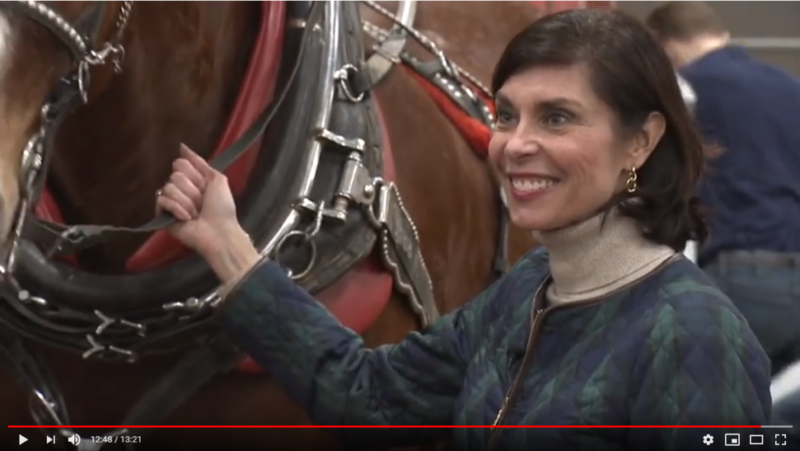 One of the highlights of the Pennsylvania Farm Show is the event that commemorates our late Senator Mike Waugh. The 2019 Mike Waugh Celebrity Draft Horse Competition is always full of fun and laughs with many of my colleagues. But it is also an important reminder of the legacy that our former Senator left on the agriculture community – not just here in York County – but all across Pennsylvania. You can watch highlights from the event here. 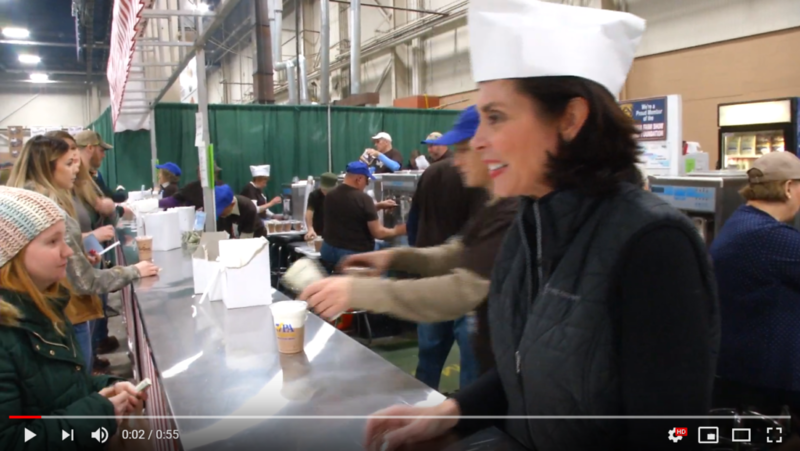 Finally, I had the opportunity to volunteer with the Pennsylvania Dairymen’s Association to serve some delicious milkshakes and learn more about our important dairy industry in the state. 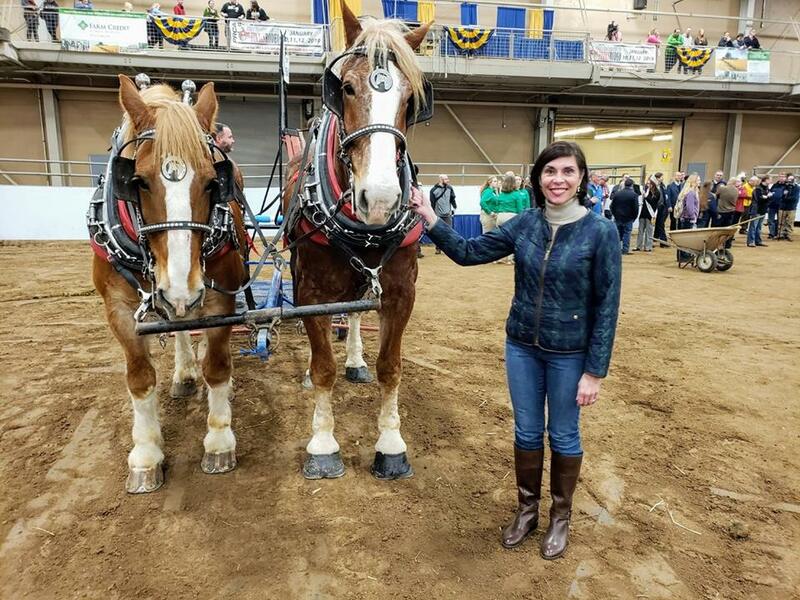 I met so many wonderful people who were enjoying their time at the 103rd annual Pennsylvania Farm Show. Thank you to so many folks from York County who came up and said hello. It was a great experience and something I look forward to doing again! 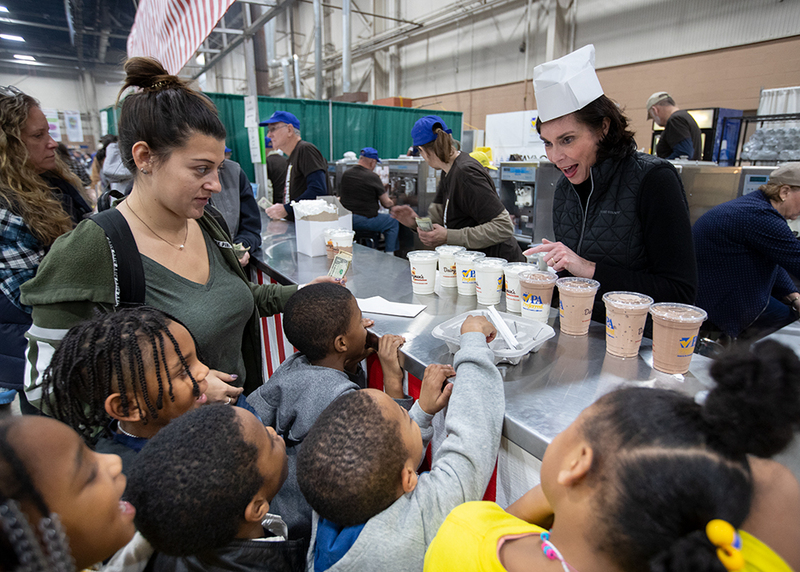 By the way, what is your favorite Farm Show milkshake flavor? I’m taking a survey on Facebook and Twitter to find out. Let me know! The Pennsylvania Grange hosted a wide-ranging panel discussion on improving access to high-speed internet throughout the Commonwealth. 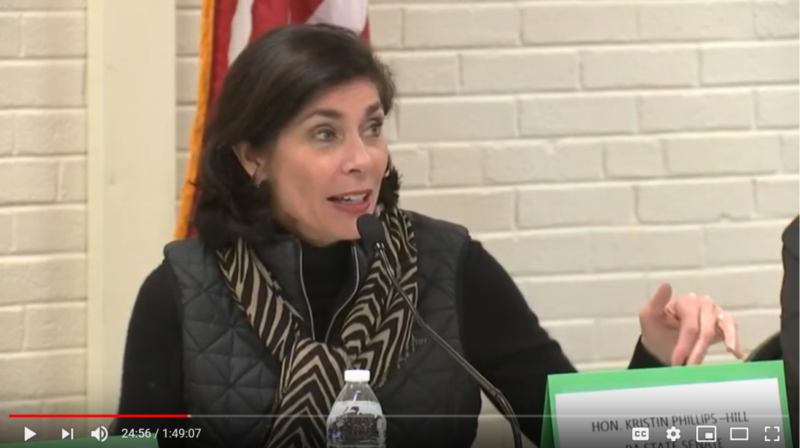 I was honored to participate on this panel to share my legislative efforts to improve internet access to many residents throughout York County. It was also an opportunity to hear from others, including Deputy Secretary Sherri Collins from the Pennsylvania Department of Community and Economic Development. On Wednesday, I joined Visiting Angels of York County for a home visit. I was fortunate to meet Mr. Russell Myers. 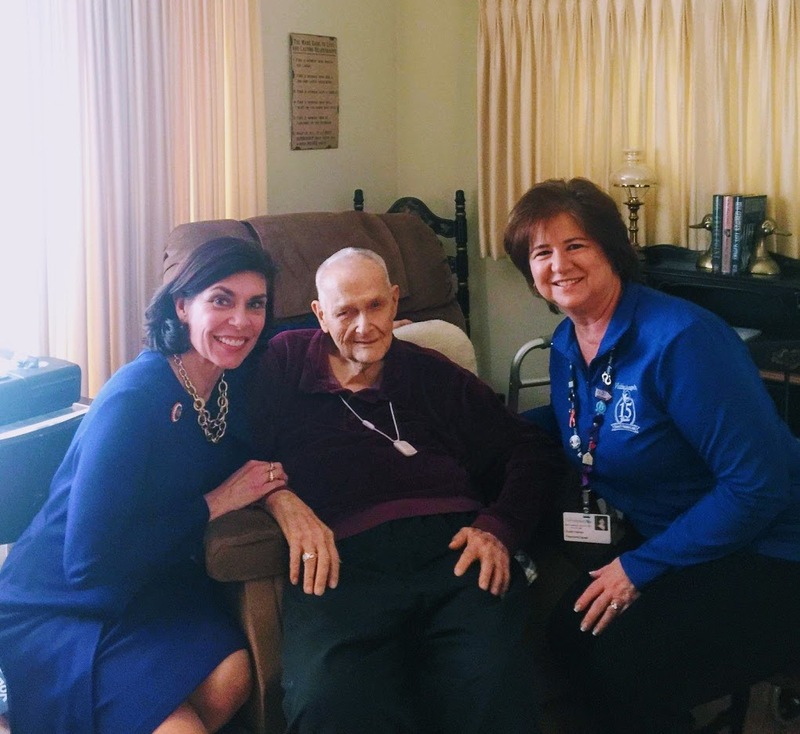 He shared with me how happy he is with his home health care, which allows him to live in his own home and receive the care he needs from hardworking professionals, like Sue Heinle and members of her team. This is a great service for older residents! Mr. Myers celebrates his 90th birthday next week! Last weekend, we celebrated the 32 years of service of York Area Regional Police Department’s Detective Don Hopple. I presented Detective Hopple with a congratulatory citation from the Senate of Pennsylvania. When Don’s wife, Melody, reached out to me last year about his retirement and shared Don’s resume with me, I was struck by Don’s humility, because his resume is quite impressive. Our community has been blessed to have a true, dedicated public servant answering the call for the last 32 years. It’s fitting that on January 9, the nation recognized all law enforcement officers as part of Law Enforcement Appreciation Day. Detective Hopple is the epitome of a true public servant. We are grateful for Don’s service to our community and region. We are grateful for all men and women who serve to protect our community and help make our region a better and safer place to live, work and raise a family. Thank you to all of you who serve in our law enforcement community!